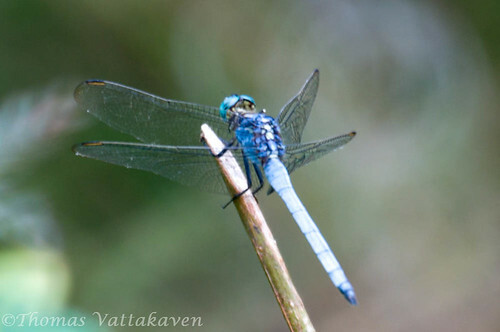 These images of a Tricolored Marsh Hawk (Orthetrum luzonicum) were taken with my Minolta 500mm F8 reflex lens in bad light, so do excuse the blurry images. 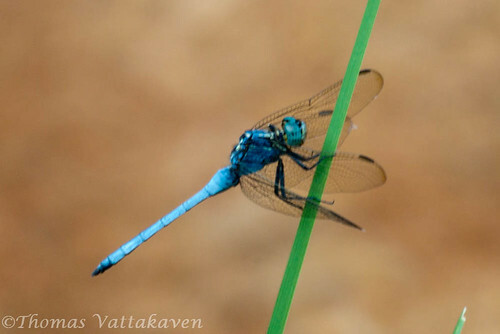 This dragonfly usually has a distinct Y-shaped mark on its thorax, however, on older individuals and females this may be replaced with blue or less distinct. It has a yellowish wing-spot and the abdomen is dorso-ventrally dilated at its base. 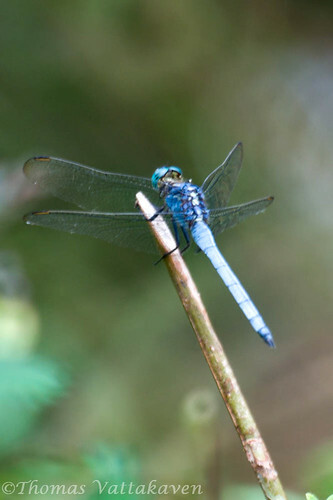 This species can be seen frequently around marshes, ponds and paddy fields or perched on the ground.